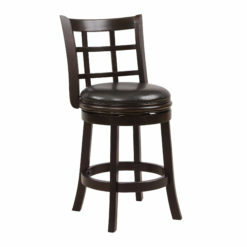 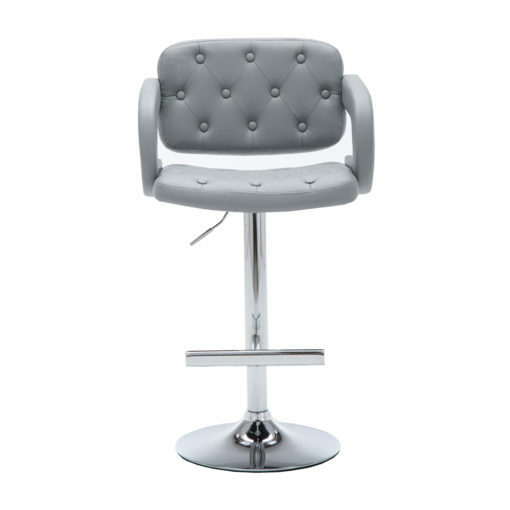 Classy, stylish, and contemporary, this barstool is perfect for contemporary décor. 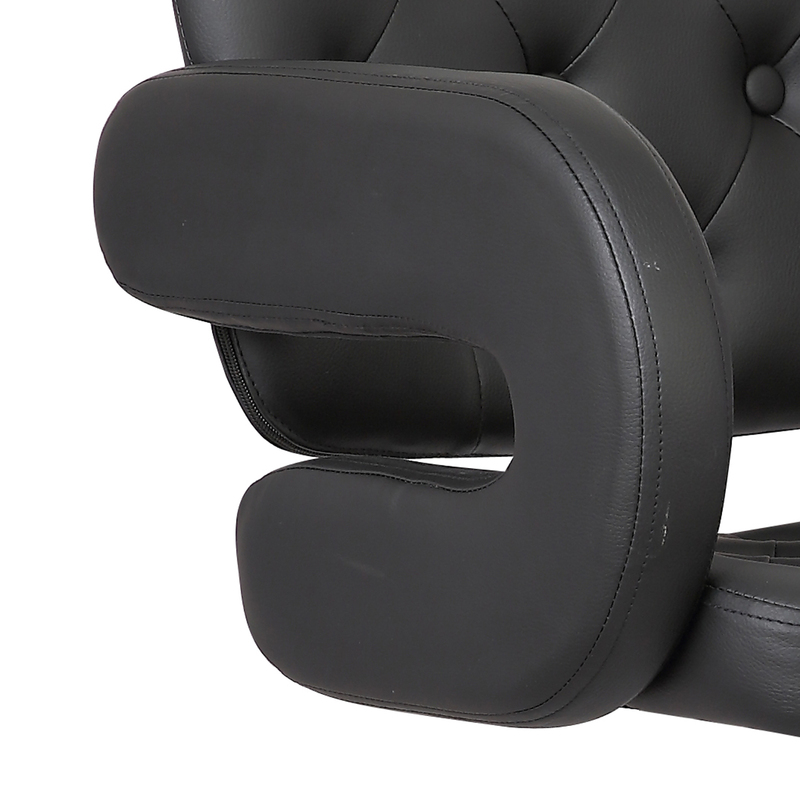 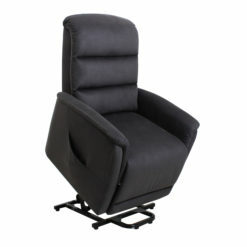 A beautifully upholstered black leatherette seat features diamond pattern tufting and covered, curved armrests. 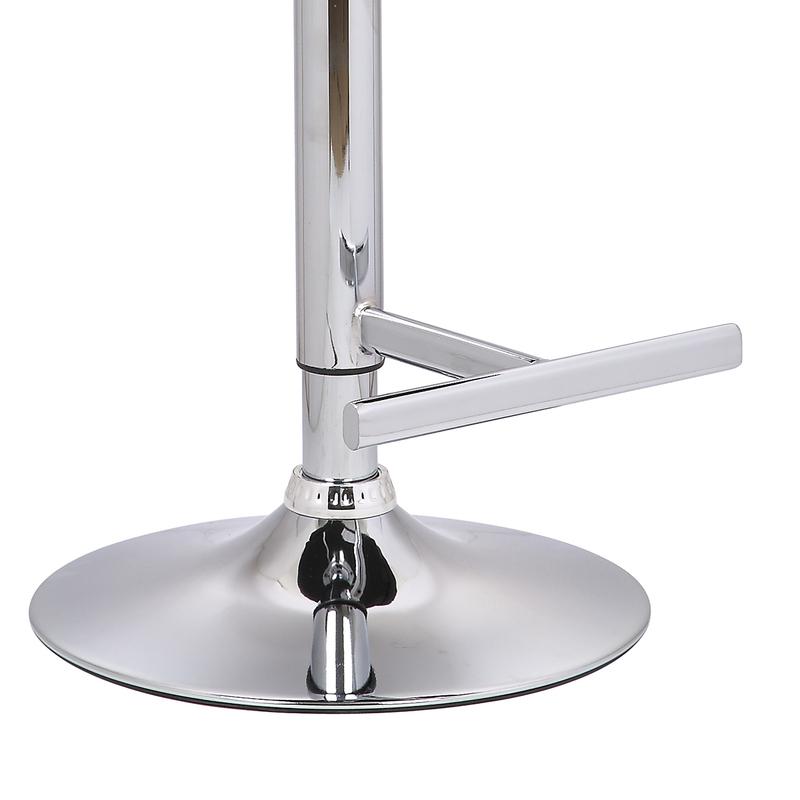 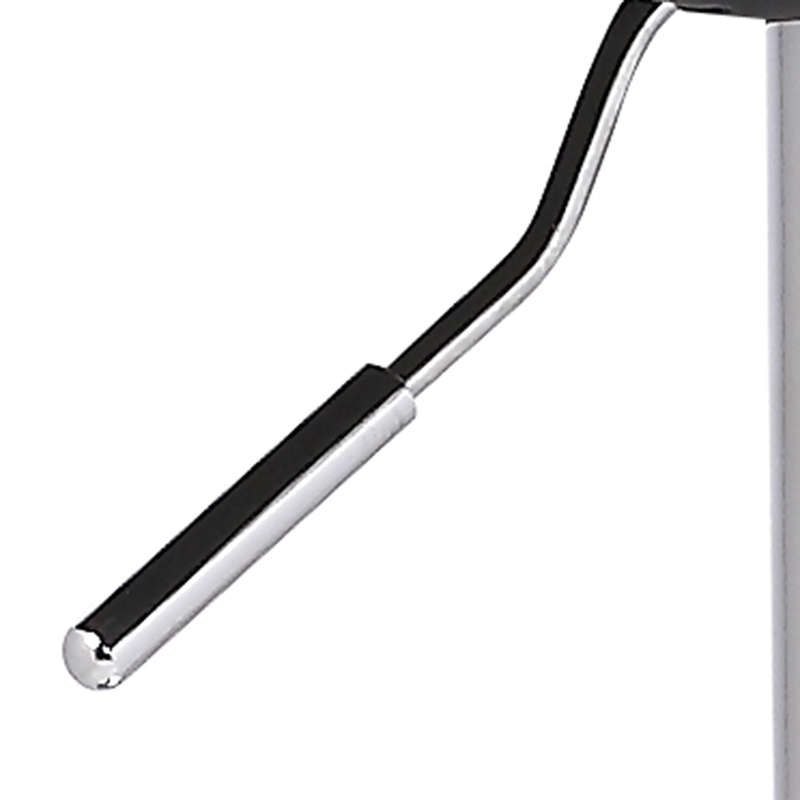 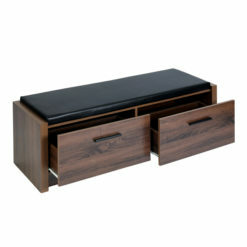 A polished chrome bar footrest and adjustable pedestal base complete the look. 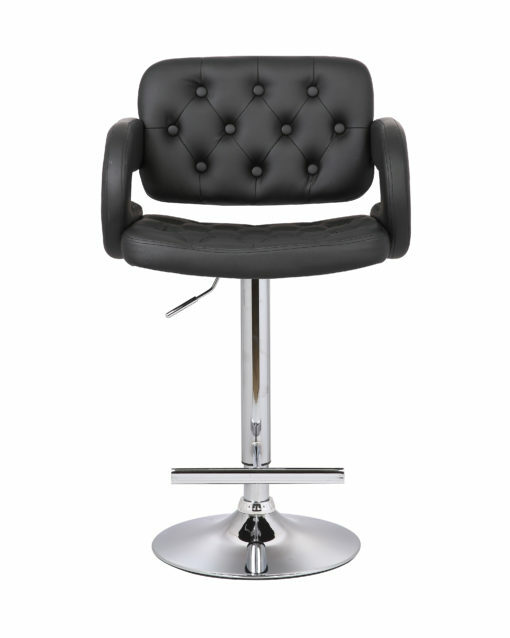 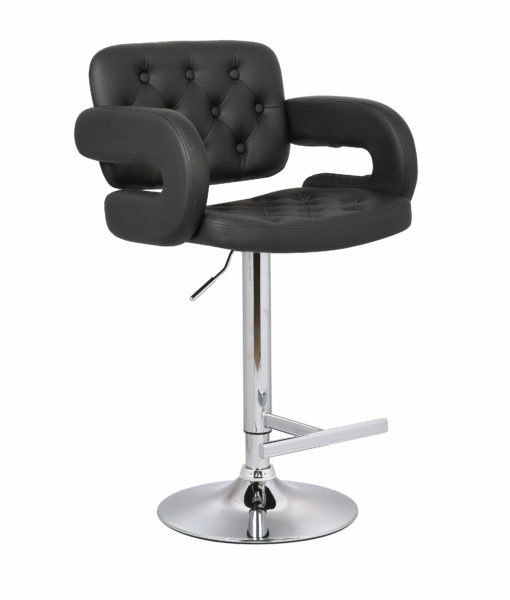 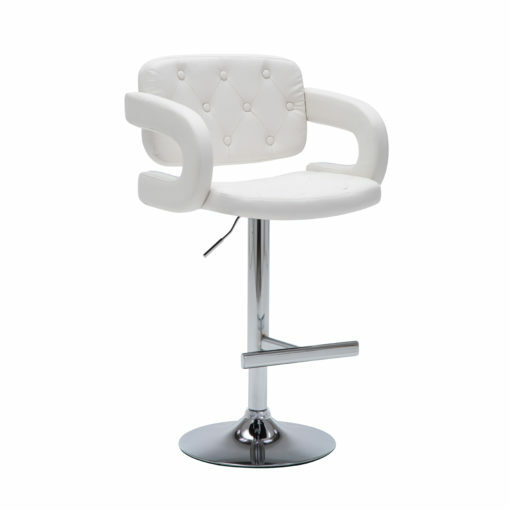 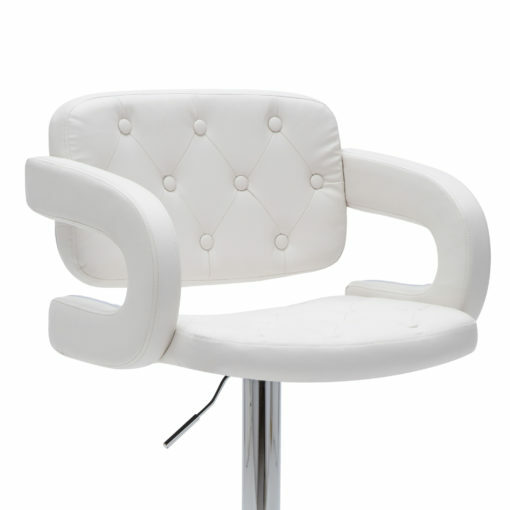 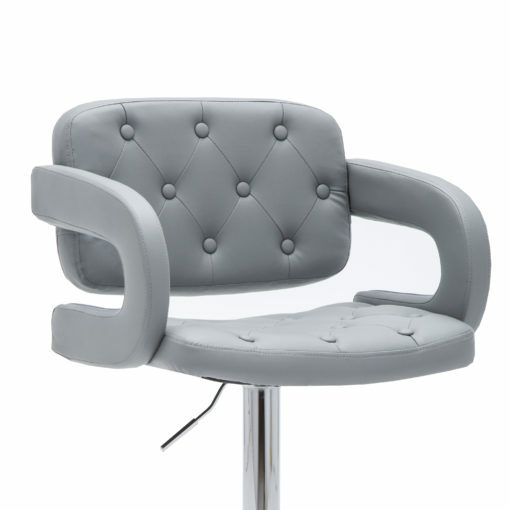 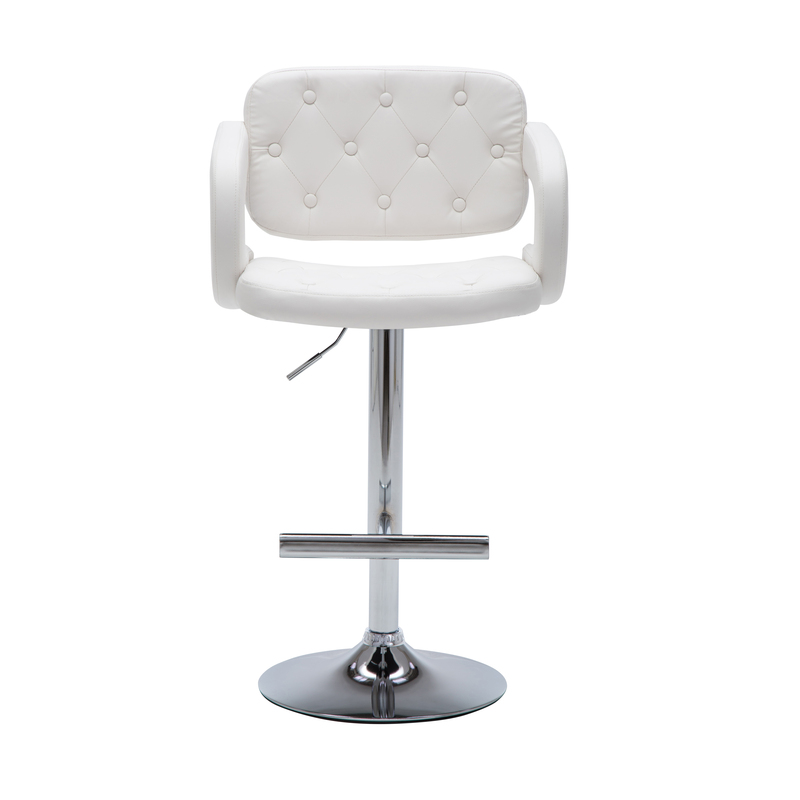 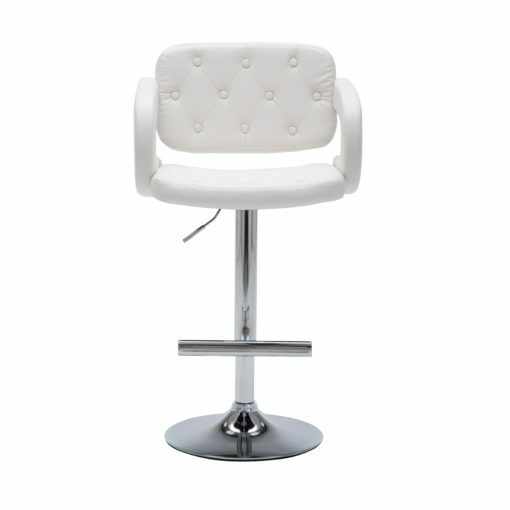 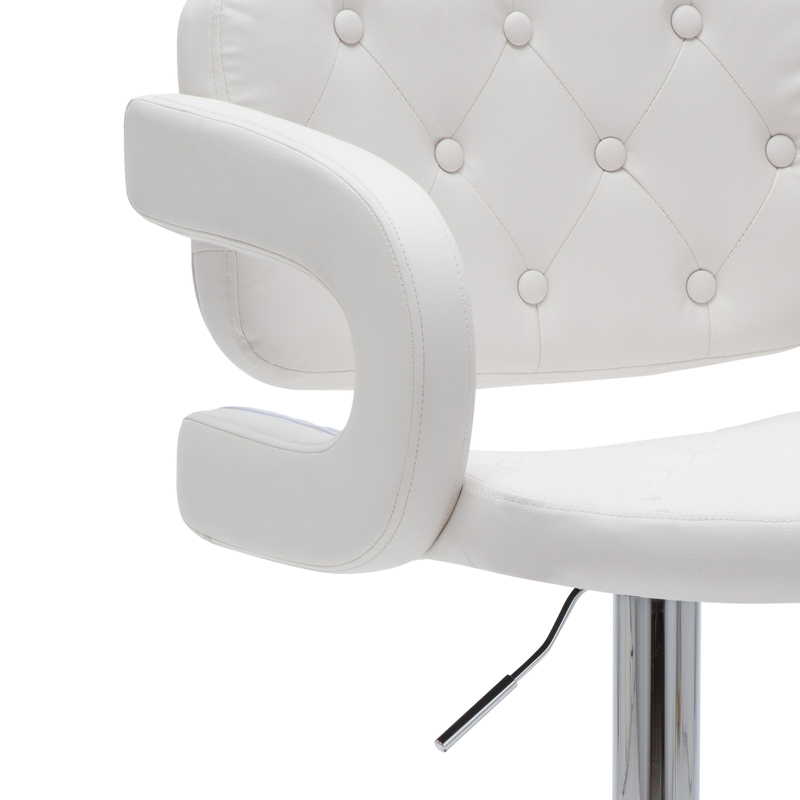 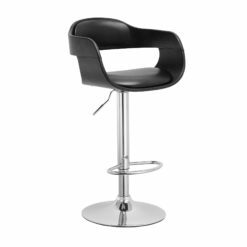 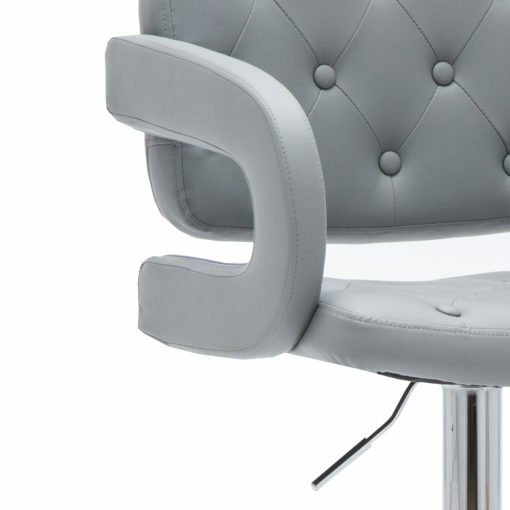 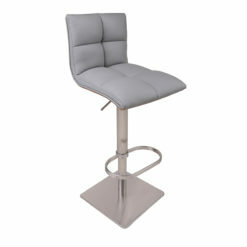 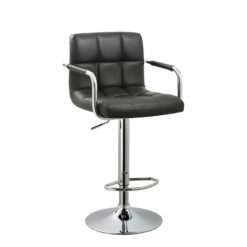 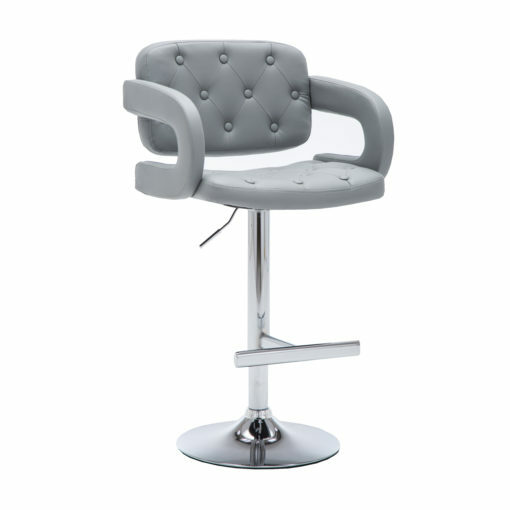 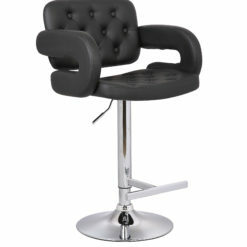 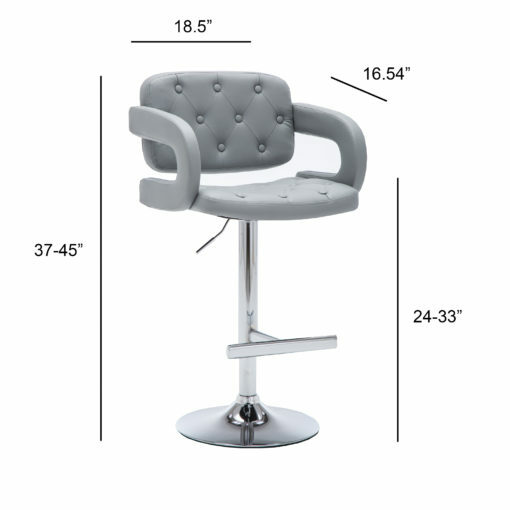 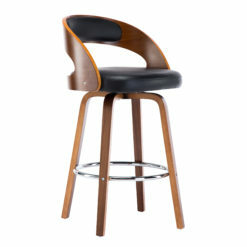 This barstool features an adjustable height and a 360° swivel. 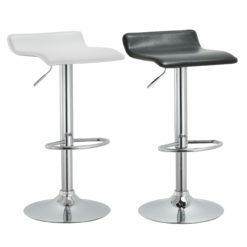 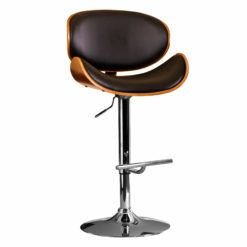 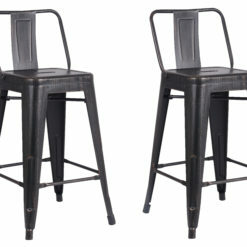 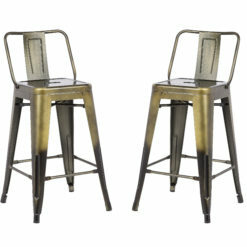 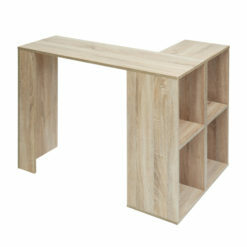 This modern barstool is great to have in the living room or a home office. It has a nice touch of comfort all around, from the seats, back, and the arms. 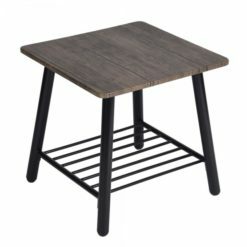 It looks great with the brown decor I have in my living room.